What is a man’s legacy? What does he leave behind for his children to appreciate? Has his legacy made the world a better place? It would be too much to say that my father’s legacy is his cooking, but not by much. He has been on a culinary adventure for years, perfecting his craft and taking the opportunity to teach me and others along the way. 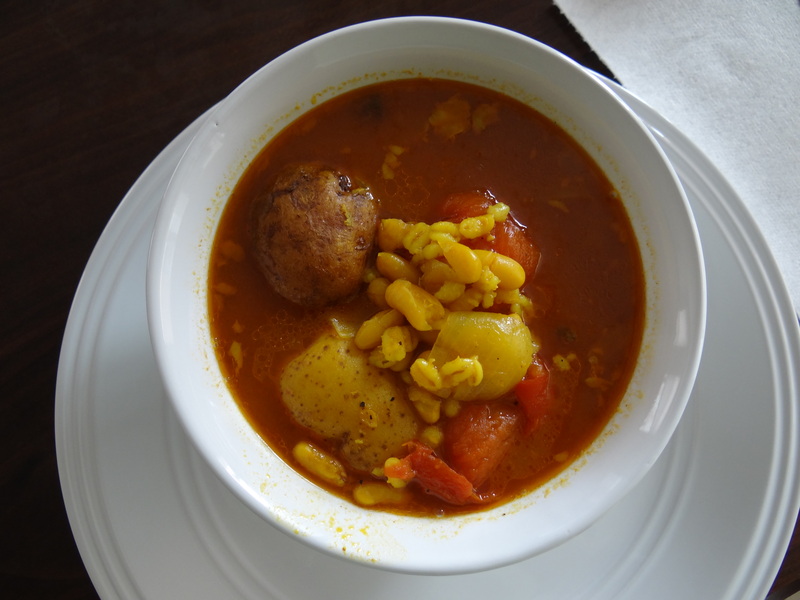 Now that he is semi-retired he has more time to focus his efforts, and the resulting recipes and dishes he has perfected (and sometimes created) hark back to the land of my forefathers. An Iranian immigrant to the U.S., my father’s cooking has evolved to reflect both his love for Persian cuisine and his affection for rich, delicious dishes that he has encountered along the way living in Louisiana most of his life. Lately I have taken an interest in learning the tricks he has used to refine the time-honored dishes that have satisfied our family’s hunger, along with my mom’s down-home cooking (God, I love those biscuits! ), for over three decades. Why now and not earlier (or later) in my life? My interest has probably peaked because of a confluence of events. My wife and I are now proud homeowners, which, I presume, is the quintessential place to begin or carry on the traditional foods of one’s family. We are also expecting our first child in the coming months, and we hope that he or she will use those fresh new taste buds to enjoy the classic’s from the TLA family cookbook. And as we prepare to leave for Honduras for our second assignment abroad soon, we want to be able to take the comforts of home with us to that foreign land. Of course being at the Foreign Service Institute provides time to think, that was rarely available in Bahrain. Finally, in classic “teach a man to fish” form, my father has also decided the time is ripe for providing me with a recipe nearly every other phone call, such that I would have been cockeyed not to take a few notes and preserve a tradition so carefully cultivated over the course of a lifetime. This is, I guess, just another journal. I find that I’m incapable of forcing myself to write in a little book about the happenings of my life, even though it’s likely that I’ll want to remember these heady days when I’m old, crabby, and trying to recapture the glory of an earlier life. So, what better way to save some of these images, thoughts, and experiences than by blogging about them for all to see… Well, I know, it’s a bit exhibitionist, but I guess it will open a window into my life for my family and friends who are at least vaguely interested in what a cookie-pusher does. 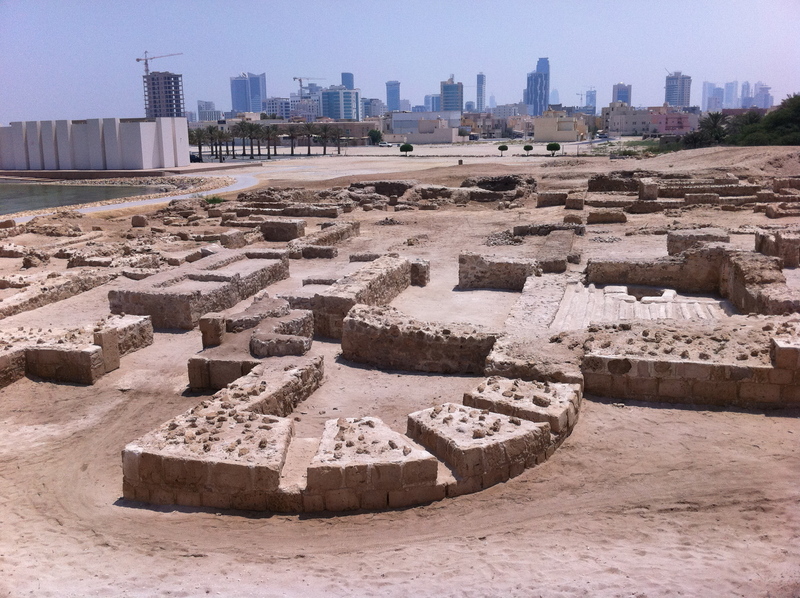 Ancient and modern, Bahrain is full of contradictions. So, here I begin, somewhat appropriately, nearing the end of my first tour as a diplomat in Bahrain, a country so full of contradictions, history, and promise, with enough personal experience to begin to have something to say.